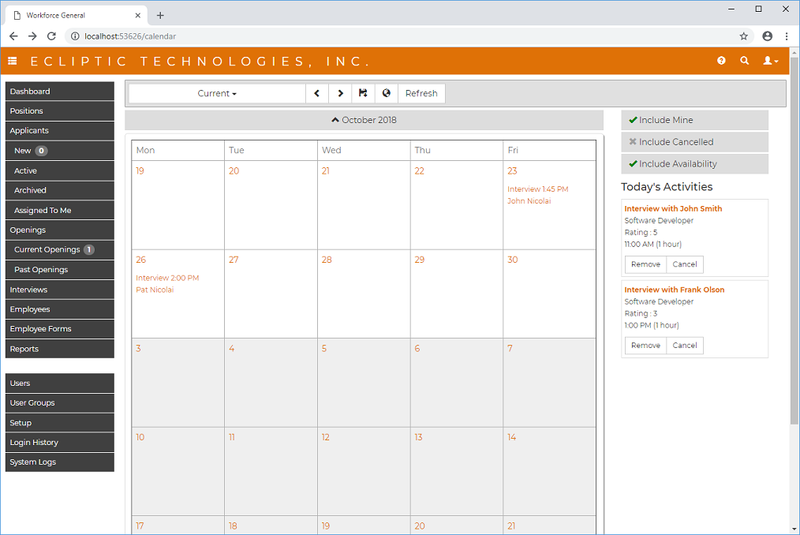 Workforce General has a built in interview calendar and tracking functionality. As applicants submit applications online, you can easily schedule interviews and track the results of those interviews. Using a common database, all of your recruiters can view and access the interview schedule and status allowing a team to collaborate streamlining your hiring processes. Workforce General allows you to track the results of your interviews. You can enter comments and outcome results for future reference.